The CRBRA hosted a beautiful evening at the stunning EMPAC at RPI in Troy, New York last Thursday. 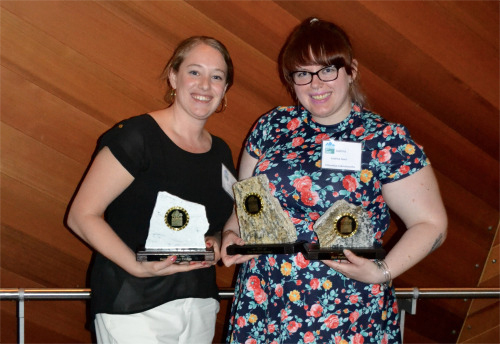 I am so proud that two incredibly talented Columbia Cabinets designers were recognized for their work. 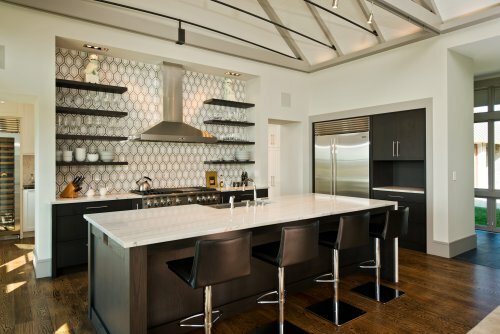 Justina won for Best Kitchen Design over $75,000 and for Best Bathroom Design under $40,000. Amy won for Best Bathroom Design over $40,000. Some details and photos of the projects follow. The design of Skyfall flows seamlessly, an organic journey that is magically connected to earth and sky. The central axis solidly anchors the design and it just unfolds from there. The sleekness of the interior selections, especially the kitchen cabinetry, has a very metropolitan feel which plays beautifully off the Cape Cod inspired lines of the exterior of the home. The coolness of the natural stone countertops in both the kitchen and pantry is warmed by the soft white pantry cabinets and rich tones of the rift cut oak kitchen cabinets. The result is an inviting sophistication…a perfect synthesis of urban chic situated in bucolic splendor. New construction, in particular, allows homeowners to really prioritize what is important to them. Skyfall’s main kitchen, bookending the magnificent great room, is an ideal place to entertain long into the evening, necessitating an uber functional, separate chef’s pantry where all the prep work, cooking and clean-up takes place, out of sight. Skyfall is a testament to refined elegance. The ultimate spa master bathroom; fluffy white towels required! Countertop: Carrera MarbleA spa bath with a distinctive masculine touch. 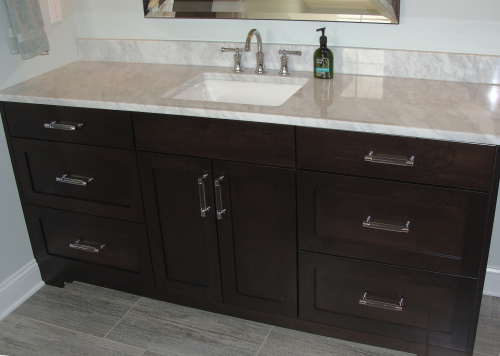 Plenty of drawer storage allows countertops to remain clutter free maintaining the clean angular lines of the vanity, sinks and mirrors. Plenty of natural light enhances the dark wood and the modern details of the shaker style door and square stepped toe-kick valances add classic refinement to the serene space. 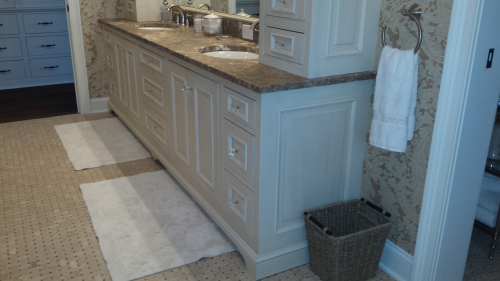 The eye-catching cabinetry hardware finishes the project with a bit of fun bling.